Guests who arrive at Hoi's can choose to go directly up to the restaurant to sample the sumptuous fresh food, or simply relax in the sociable, friendly, easy going and stylish atmosphere on the ground floor choosing to either:. » Retire to the cigar room to sample the hundreds of malt whiskeys and of course the top cigars such as 'Romeo y Juliettas' (Winston Churchill's favourite), Montecristos, Cohibas, etc. » Enjoy national and international DJ sets every Friday and Saturday in our "clubbing area"
» Complete renovated and refurbished. » Also able to cater for private functions and business luncheons. 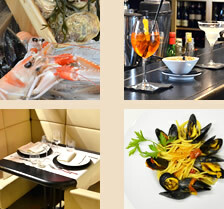 The Hoi Restaurant - Rome, is an exclusive high quality fresh fish, sushi and crustacean restaurant in the very heart of the highly fashionable Prati district of Rome exactly opposite the entrance to the Vatican Museums. Previously known as 'Hemingways' this exclusive restaurant and lounge bar has been completely renovated and re-opened in 2012. In addition to it's top quality fish restaurant on the second floor, the Hoi Restaurant also has a ground floor containing a chic lounge and wine bar that even boasts a private Cigar Room accessible only with a members pin code! With four rooms spanning over 400 square meters and all with a stylish and chic feel, the Hoi Restaurant not only provides a fantastic place for a date, but also serves as a great venue for business meetings, social get-togethers, tastings, events and parties.  Our selections of wines, spirits, cigars and food together with the excellent service and atmosphere mean that whatever the event, at Hoi Restaurant, it will be a stylish success. Check out our Private Functions and Business Lunches pages for more details. Prati is one of the most exclusive and stylish areas of Rome and is where the Vatican is located. 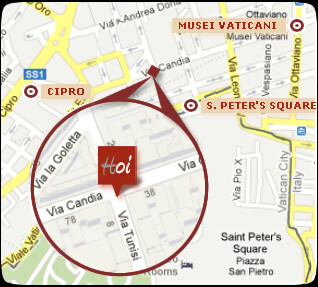 In fact, our Hoi Restaurant is situated directly opposite the entrance to the Vatican Museums which means we are super simple to find and also that transport links to the area are excellent. Simply hop onto any one of the many buses that go to Prati, or take Line A of the Metro to Ottaviano stop and you will be within minutes of us.